As you may know, we’re big fans of baseball here at Sullivan Tire. This summer, for the second year in a row, we took our love of baseball to a whole new level by hosting A Day at the Ball Park for our employees and their families. All employees who have been with the company for 5 or more years were invited to spend a day with the Pawtucket Red Sox, Portland Sea Dogs, or the New Hampshire Fisher Cats. Employees and their family members were treated to a delicious, catered BBQ lunch before each game. At each game, a Sullivan Tire employee had the honor of throwing out the first pitch. At the Portland Sea Dogs game it was Leo Rossignol, Manager of our Biddeford, ME location. “I couldn’t make it last year, so it was nice to be able to attend this year.” At the Fisher Cats game it was Marvin Robbins, manager of our Newington, NH location and his daughter, Madison, that threw out the first pitch. At the Paw Sox game it was Joe Comeau, of our Marlborough, MA retail location. Each day at the park held a fun surprise; Daniel, Emma and Roger Pearson, who attended last year’s Day at the Park in New Hampshire, had a great time with their family at the event. They loved the food (particularly the mac n cheese) and were confident the Paw Sox would win. Their faith paid off, as Daniel ended up catching a home run ball, and the Paw Sox went on to defeat the Bulls 7 – 4, earning a season-high fifth-consecutive win! What was your favorite memory from this summer? Do you have a favorite minor league team or ball park? Let us know in the comments! 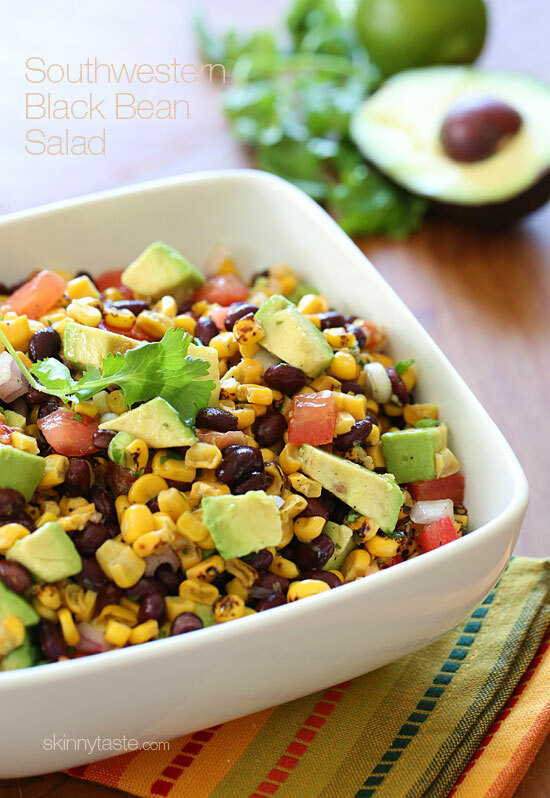 Today we wanted to share a fun summer recipe we’re planning trying out this weekend: southwestern black bean salad. This bright salad makes a great side dish or an appetizer if you serve it with some chips. It can also be served with grilled meat and tortillas. In a large bowl, combine beans, corn, tomato, onion, scallion, cilantro, salt and pepper. Squeeze fresh lime juice to taste and stir in olive oil. Marinate in the refrigerator 30 minutes. Add avocado just before serving. Makes about 6 1/2 cups (13 servings of 1/2 a cup). Do you have any favorite summer recipes? Are you making anything tasty this weekend? Share with us in the comments, and check out our Pinterest Summer Treats board for more fun, foodie ideas! I had an unexpected need for auto repair service today. John at the Plymouth, MA location was courteous and helpful and expeditiously arranged for care for my car and transportation for me. The driver of the shuttle, Ed, was extremely friendly and kind. I so much appreciate the help they provided during my extremely stressful day. Thank you so much for all of your help today, John, Ed, and Sullivan Tire! 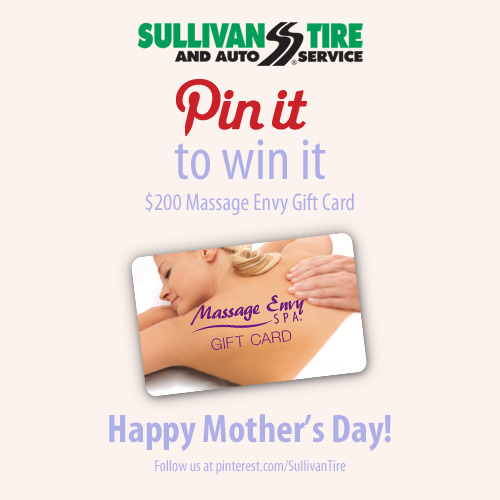 Mothers Day is this weekend and to celebrate how much we appreciate our moms, we’re holding a Pinterest contest for a $200 Massage Envy gift card! To enter, follow Sullivan Tire on Pinterest. Re-pin the contest pin (located on our Just for Fun board, or you can click here for a direct link). That’s it! We’ll announce the winner on Tuesday, May 13th! Just wanted to offer my compliments to your staff at the Sullivan Tire in Stratham, NH. I’ve had a faulty tire sensor and had to visit a number of times. Each visit, I’ve been met with great customer service. A specific thank you to Joe and Gregg for taking the time to complete a thorough repair, offer me a full explanation, and do it all with a smile. From a Stratham Customer Appreciation event in 2011.